My Pad Artificial Grass have 10 types of artificial grass from very deep luxurious pile to hard wearing, natural looking or show garden style. There is a type of of grass to suit everyone and their needs. All of our artificial grasses are manufactured from synthetic fibres made to look like natural and feel like natural grass. The have been designed and developed extensively for use in residential and commercial settings. 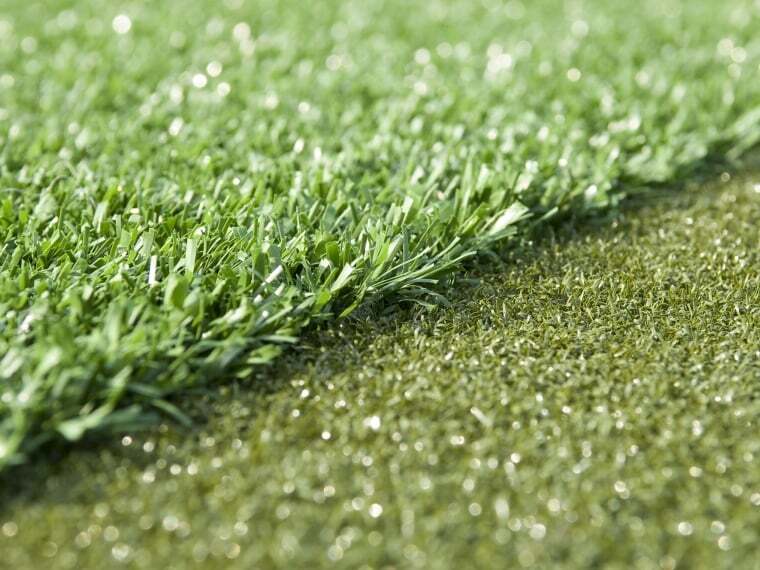 Our products are not to be confused with the harsh sports surfaces known as astro turf. My Pad artificial grass is versatile enough to be laid on various surfaces. It can be laid on soil, decking, roof terraces and blaconies, concrete, tarmac and paving. We have even laid it on a garage roof !! My Pad artificial grass is perfect for for hayfever sufferers, people with second homes, pets and even elderly people who find it difficult maintaining their lawn. 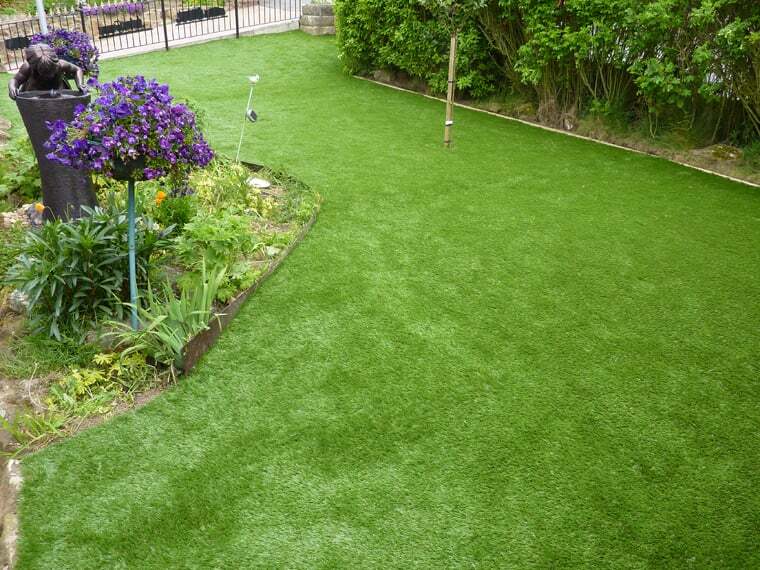 Our fake grass is ideal for areas where grass won't grow naturally. If you really want to be the envy of your family and friends My Pad artificial grass fiited to your garden lawn gives the Wow factor 365 days of the year. An immaculate looking turf no matter what the weather. It looks so good some of our customers have commented that neighbours have even gone on their hand and knees to take a closer look at it, they were so unsure if it was real or fake grass. My Pad Artificial grass is very natural looking, the duotone colouring is straight from nature, it even moves and behaves like real grass. If you love grass but don’t want the mess, mud and maintenance, My Pad artificial grass is perfect for you. Gravel and paving may be practical, but My Pad artificial grass gives you an easy-care surface with the softness, bounce and colour of real grass. The kids and pets can play on it. You can sit out on, sunbathe on it and enjoy its lush good looks in all weathers. No matter what’s going on, My Pad Artificial grass stays beautiful 365 days a year and asks for very little in return. My Pad Artificial Grass is ideal for gardens of all sizes. Lawns large and small are green, gorgeous and maintenance-free for an astonishing 20 years. My Pad Artificial grass is fully porous and drains like real grass. It’s flexible and follows the contours of your garden like real grass. But, unlike real grass, it keeps its vibrant colour right through wet weather and long, hot, dry spells. There’s no watering or feeding required so it’s kinder to the environment. Click the button below to add the Artificial Grass Samples - Maximum of 4 to your wish list.